Our Lady appears to six visionaries, which can see her and talk with her during regular apparitions. During some of these apparitions, Our Lady gives messages. One of most frequented topics of these messages are appeals for prayers and love . In most of the messages of Our Lady, the content outlines the core of spiritual life. Although, most of the people listening and reading these messages are Catholics, the messages are given in a universal language, the language of love, which may understand also people of other religions or faith. 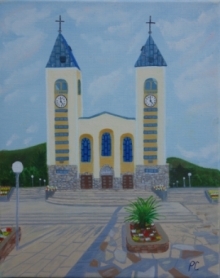 The messages of Our Lady can be found in Medjugorje Messages section of this website.